Did you know Supergirl.tv is a part of the Hypergate Studios media group? This means we cover other shows too, like Batwoman, Stargirl and The Witcher! Also, check out these other sites for content that will enrish your Supergirl experience! No compensation was exchanged for these links. Supergirl.tv is here to be your one stop website for all the news, rumors, spoilers, video and media for The CW's Supergirl! We believe that sharing a fandom with other fans is a privilege. We are just as big of fans as you are and there is no reason why we should profit on cherishing a character like you do. For that reason, we promise to keep Supergirl.tv 100% advertisement free. While we strive to provide a professional level experience for all our visitors, we are a non-profit site. 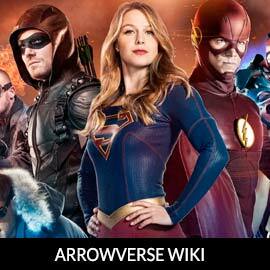 The only links we provide are those to credit a source and links we feel will enhance our users' Supergirl experience. Do not curse or use bad language that may be inappropriate to children. Do not put other people down. We are all fans of the same show, lets support each other not bring each other down. The admin reserves the right to delete/edit content as he/she chooses to keep the site safe and productive. Supergirl.tv is the result of a few passionate people sharing a dream. The site is based on a simple premise, "How can the average person affect the life of a fictional character"? It's not easy. Comic book artists/writers certainly get to, Hollywood has the power, but your everyday citizen may not have the skills to be a talent in the comic industry. So we chose to rely on what we do know, websites. Our goal is to help The CW's Supergirl by being a beacon of positivity and support; a place where fans can talk about Supergirl safely and spread the stories of Kara Zor-El's adventures.